Download the Trinity Mobile App! Download the Trinity Mobile App for on-the-go access to all the tools on our website, plus a lot more! Click the Appropriate Button Below to Download for Your Apple or Android Device! Quote, Book, & Track Your Freight! Trinity Transport has been a contract carrier since 1984 & currently operates over 100 tractors and 350 trailers. We have also been a licensed freight broker since 1983. Our sister company, LPT Trailers, which has been in business since 1996, has a rental fleet of over 2,500 road trailers and storage trailers. 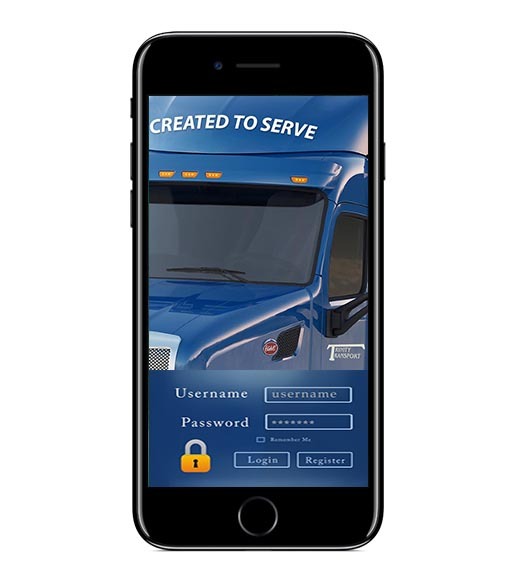 © Copyright 1984 - Trinity Transport, Inc.